 Experience the world of The Ritz-Carlton. In fact, own it. Championship golf, resort indulgences, entertainment, recreation, and adventure are yours for the taking. How did you hear about the residences? Headed by one of the industry leaders, Chuck Whittall, Unicorp is one of the nation’s most successful development firms and has developed over 3 billion dollars of commercial and residential. From comprehensive mixed-use village centers, luxury apartments, un-paralleled retail developments to grand scale master-planned communities, Unicorp continues to be a trusted leader in selecting, securing and developing properties that not only endure, but build stronger and more beautiful communities. Stockworth Realty Group is an independent real estate brokerage company serving the Orlando metropolitan area. With a dedicated team, known for a high level of concierge-style service, Stockworth has become a leading luxury real estate firm in Central Florida. Originally founded by Tavistock Group in 2006 and now independently owned, Stockworth is a preferred referral partner for Tavistock Development Company. Since 1984, Jones Clayton Construction has earned a reputation for excellence in the custom home building industry, recognized throughout Central Florida for its timeless architecture and one-of-a-kind home design. President and founder, Rial Jones, is a current member and past president of the Master Custom Builder Council, an organization dedicated to the highest level of construction and ethical standards. Under his leadership, Jones Clayton has won numerous awards including, the “Grand Award” from The Parade of Homes, “Best Custom Home Award” from Builder Magazine and “The Golden Aurora” for best custom home in the Southeast.